The Undertaker is a versatile driver. It is a straight flyer that does not get flippy, easy to control, and has good glide. 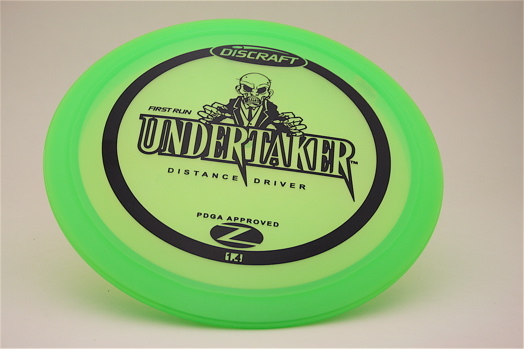 This disc is available in Elite Z @ $13, Big Z @ $13, Titanium @ $15, and ESP @ $15.